Arriving in France, you might yourself having to cope with more than jet lag when it comes to timing. You'll also discover that dining, shopping and sightseeing must bend to the French schedule. Instead of fighting it, surrender to the typical hours in France. Use this guide to ease the adjustment. It takes a few days to get into the rhythm of French life. At first you'll find yourself trying to shop or visit a museum when it was closed...and opting for a late lunch is a real no go; most restaurants close at 2pm. French shops tend to be open in the mornings until noon, and many (if not most) close for anything up to three hours for lunch. They typically re-open at 2.30 or 3 pm. In the South of France, life takes on the rhythm of a hot country. So you'll find food shops in particular opening early and staying open late. They might close for lunch (particularly in small towns and villages), but in the main resorts they open very long hours. Almost every shop is closed in Sundays as well, so don't plan a visit to a city you've always dreamed of seeing on the day of rest, because they do rest. It's the law. Only shops that sell food are legally allowed to remain open in France, although countless boutiques do flaunt the regulations. If you are visiting during a Sunday, and will need anything at all from a store, buy it on Saturday! You'd think that museums would stay open all day. Well, some do, but some don't, so you might get caught out. There's nothing more frustrating than turning up at noon to find you have to wait for 3 hours until the attractions you want to see opens again. In those hours, the restaurants and cafés come alive. If you don't catch lunch at lunchtime, you could go hungry for several hours (especially in smaller towns or even medium-sized cities). The French dinnertime is typically late, around 8 pm. The best way to cope is to just give in. Get your breakfast in the morning, when the wonderful bakeries (boulangeries) are open and the croissants are fresh. Order a café au lait and tuck in (and, yes if the café has no croissants you can take your own). 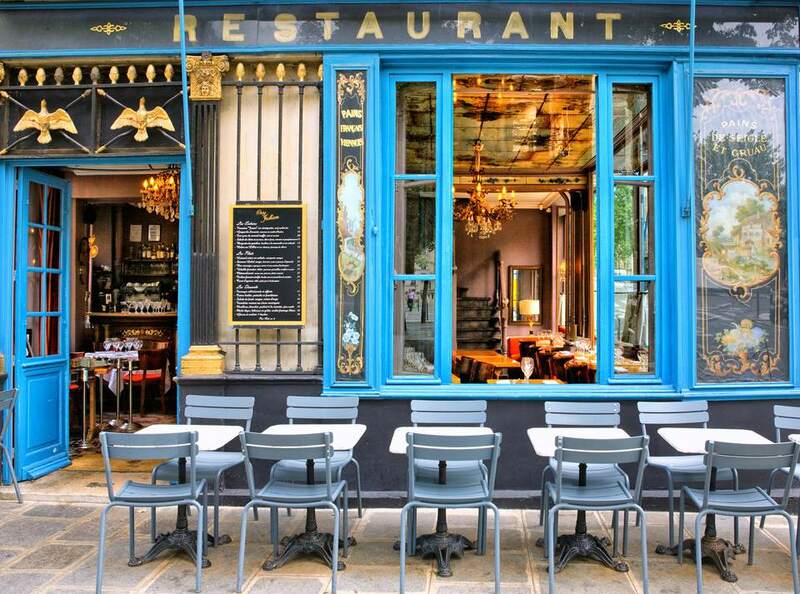 Shop or visit attractions until lunchtime, and then take a nice, long, leisurely French lunch. Afterwards, you can resume your sightseeing, followed by dinner. Look for shops and restaurants that have the phrase "non-stop" in the window. This does not mean this is a place that is always open. Indeed, even the ones that say 24h/24 7j/7, which is supposed to mean 24 hours a day, seven days a week, can close unpredictably. What "non-stop" DOES mean is that it will not shut-down in the middle of a day's opening. For instance, a restaurant will not close between lunch and dinner, or a shop will not close for lunch. One way my husband and I found to deal with the French customs is to count the lunch break as down time. We would grab quick sandwiches from a quick stop cafe, maybe a bottle of wine, and return to our hotel and unwind for a couple hours. That way, we would always be energized when things are really happening in France: after lunch. Even if the shops are closed, that doesn't mean you can't window shop. Even if the museums are locked up, you can still visit them. No, you can't go inside, but you can see the outside. Most cathedrals are stunning, outside and in. Many museums are housed in historic properties, and the architecture alone is worth seeing. You may also run into similar problems while visiting in the off-season. Hotels, shops, attractions, sometimes even tourism offices in tiny villages, shut down completely or have reduced hours. This is usually from Christmas through January or February. Be sure to check ahead.